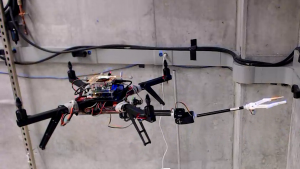 This work develops autonomous pick-and-place capabilities using a VTOL aerial vehicle such as a quadrotor. A light-weight manipulator with gripper was designed and integrated with visual servoing for object grasping. Control is based on both reactive low-level controllers and on optimal trajectory generation exploiting the multi-body dynamics of the system. 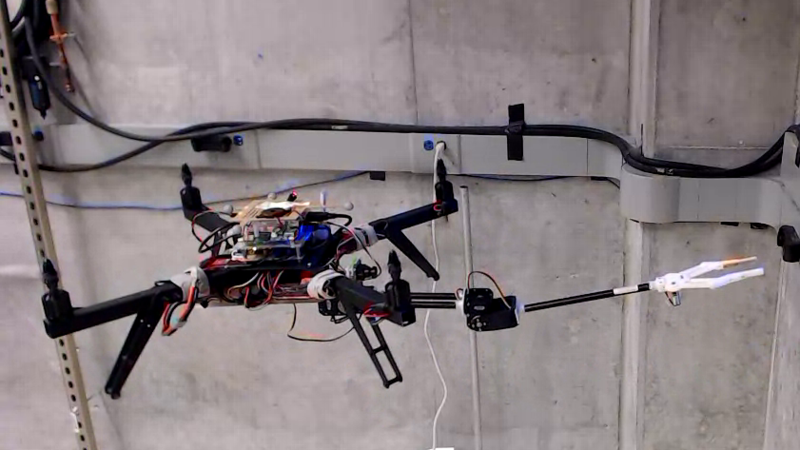 The capability of the system has been demonstrated on both aerial pick-and-place and remote sensor placement tasks. More information about the object tracking technique can be found here.